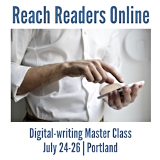 Ever wish you had a writing coach — sort of a personal editorial trainer? In customized one-on-one consultations, I’ll help you jump-start your writing skills, recharge your batteries and get your creative juices flowing. 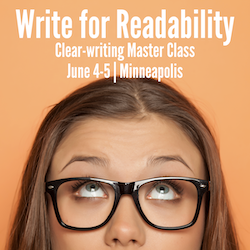 Communicators at such companies as Fleishman Hillard, H&R Block, John Deere, Nokia and VSP (Vision Service Plan) have already worked with me to polish their writing skills. If you’re ready to take this important step to improving your own work, contact me.